If you have been in an accident and are not sure you need an attorney, and are afraid to call one, how about video. Nick Mastrangelo knows that no body wants to go to court, but sometimes you need an attorney to protect your rights. Web host Scott Bourquin asks Nick Mastrangelo the important questions. If you are thinking about calling an attorney after an accident but are afraid to call, watch these videos. Nobody has to know. After you meet Nick on the Video’s if you still aren’t sure if you need an attorney after an accident, give Nick a call. The first consultation is free. The Mastrangelo Minute with Nick Mastrangelo is for anyone who has been in a truck, auto, motorcycle or work accident. Nick has over thirty years and his family law firm, The Mastrangelo Law Offices, has been serving people in the East Bay and Northern California for nearly 40 years. 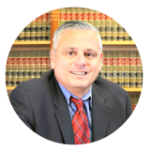 When you need an attorney, make sure you talk to an experienced attorney like Nick at the Mastrangelo Law Offices. Nick talks about the problems real people just like you have after an accident. Check out the videos and if you still aren’t sure, call Nick. You can also find Nick On YouTube.